Acoustical blankets are sound blocking and sound sorption barriers that combine mass, flexibility, and limpness to block noise from transmitting from one area to another. They are available clear, non-reinforced, and reinforced in a variety of weights and styles to meet a multitude of applications. 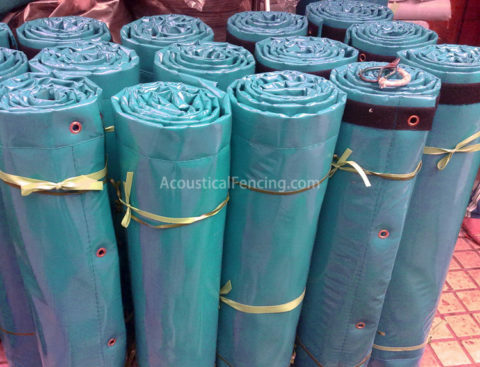 Reinforced acoustical blankets are typically used in applications requiring high tensile, breaking, and tear strength, as well as excellent UV and weather resistance such as in long term exterior sound walls. 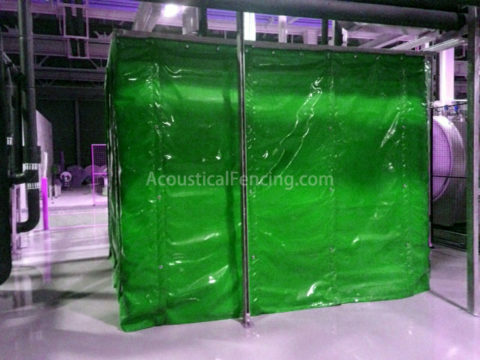 Reinforced acoustical blanket curtains are also used as the blocking component in barrier backed composites. 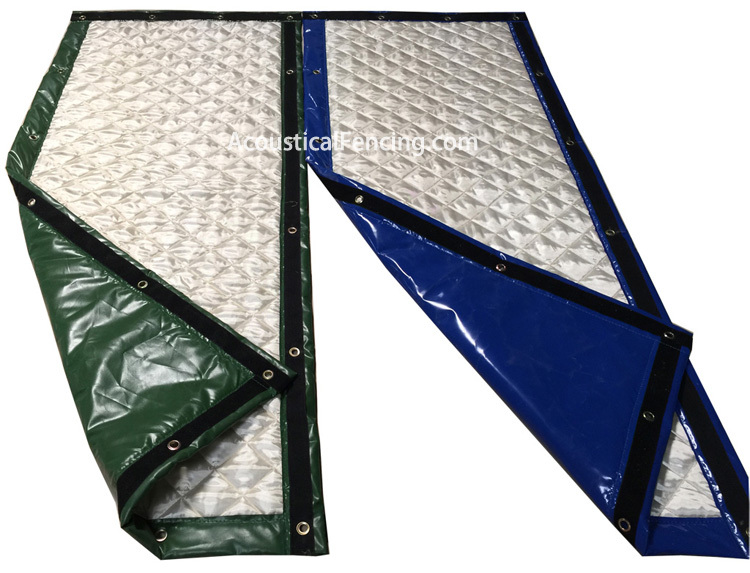 When used in conjunction with a quilted fiberglass absorber, STC ratings of up to 27 can be achieved. Reinforced acoustical blanket includes a hidden barrier which is a 4.1 kg/m2 mass loaded vinyl material with a woven fiberglass cloth facing. Used in the fabrication of barrier backed composites in the manufacturing of acoustic enclosure, barriers, and exterior sound walls. 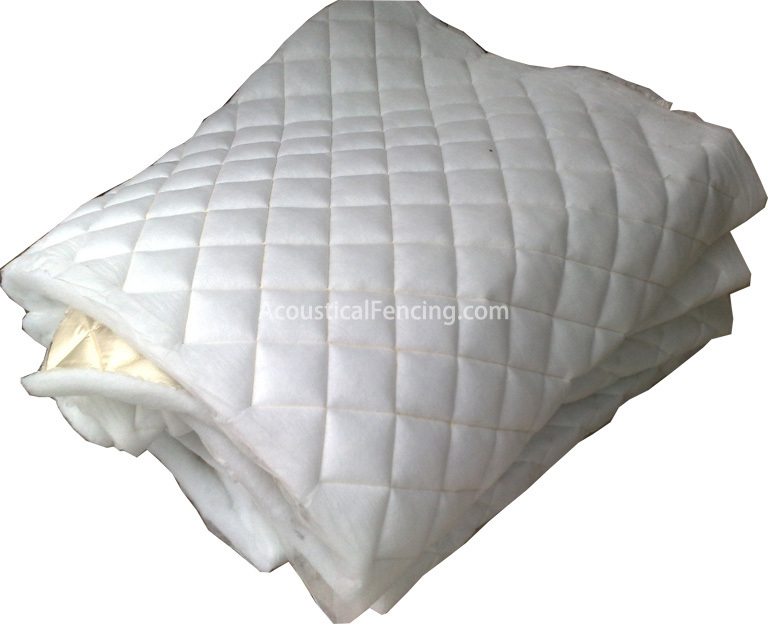 Non-reinforced acoustical blankets are most commonly used as an alternative method for reinforced industrial blanket for projects that have lower expectation on noise reduction or less budget, or for short-term use.